Most companies know they need more than a website to be found online. A website should be your “base camp” and other avenues lead back to it. That could be social media, landing pages or online directories. Organic (unpaid) search is what is important in getting more visitors to your website. This is why we offer a Local SEO Service that can get your company listed on more than 50+ online directories. 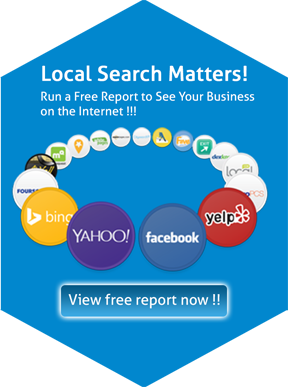 Websites like Yelp, Google, Bing, YP and Dex! We fix all the listings errors you may see, select up to 5 categories for your business listing and post to the sites once a week to keep them standing out. Pricing: a monthly fee with a 1 year commitment. This ensures all your listings are consistent and compliant with all search engines such as Bing and Google. NAP (Name Address Phone) consistency is important to search engine optimization.